After slipping to a distant fourth amongst America's largest wireless carriers, T-Mobile has been attempting to better define itself as a compelling alternative. In its latest bid to do just that, the company has just debuted a contract-free, unlimited talk and text plan which comes bundled with 500MB of tetherable data for merely $50 per month. Because T-Mobile has gone contract-free, phone subsidies are effectively gone. While this means T-Mobile subscribers will be paying sticker price for a new smartphone (ouch), they'll still have the option to ease that burden by spreading the phone's cost across two years of monthly payments. When T-Mo's $50/mo plan is paired up with payments for a high-end smartphone spread over two-years, the carrier's prices still manage to fare favorably against contract-based carriers like AT&T and Verizon. Although the new $50 plan includes 500MB of data, subscribers won't actually be capped to (or charged) for exceeding this monthly allowance; rather, customers who go over the data limit will find themselves throttled to "2G speeds". This provides would-be data hogs a soft ceiling in the event they do exceed their 500MB allotment while simultaneously ensuring T-Mo's network service quality. Meanwhile, subscribers pining for more than 500MB of unadulterated data can tack on an additional 2GB of monthly bandwidth for just $10 more per month. This should prove particularly useful for subscribers who plan on tethering their smartphone to other devices -- a feature which T-Mobile is allowing at absolutely no additional cost. There is also a $70 unlimited-everything plan and further discounts for multi-line family plans. A two-line plan with no contract and 2GB of pooled data, for example, costs just $100/mo. Although T-Mobile's new pricing is attractive, it remains the only national carrier without 4G LTE service. Its HSPA+ network isn't shabby though, delivering solid speeds and better national coverage than competing LTE networks. 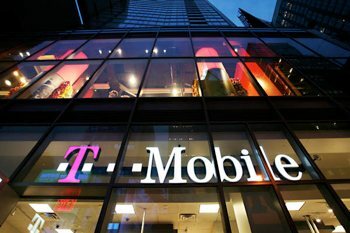 If lack of 4G coverage is a bummer though, give T-Mobile just a little more time -- the company is working right now on rolling out LTE 4G with the promise of covering over 200 million people by 2014.